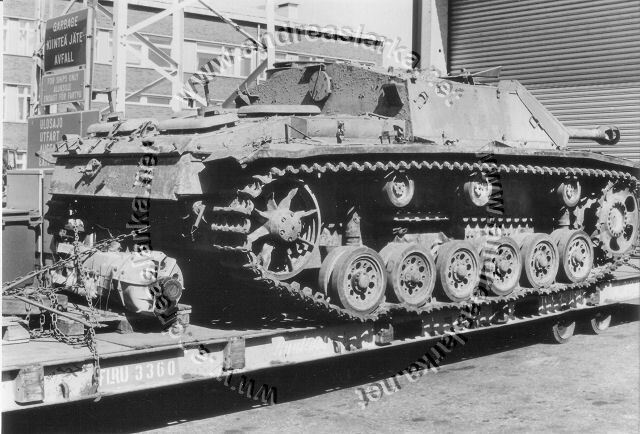 Chassis number: 105333, Alkett ~ May 1944. 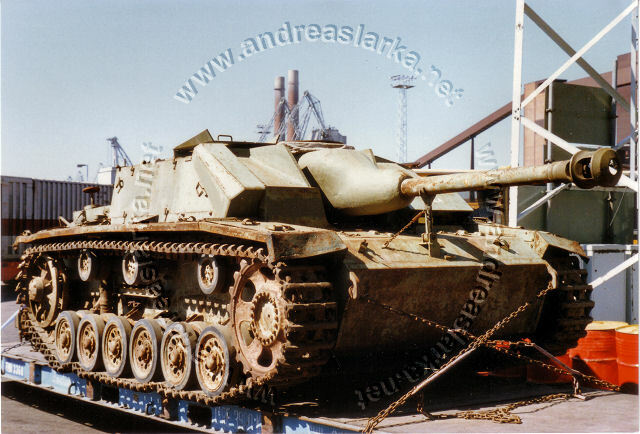 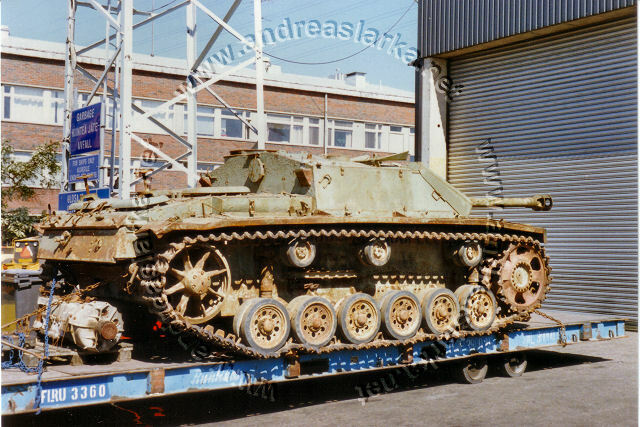 When this StuG served in the Finnish Army it had the registration-number of "Ps.531-42" and the nickname "Milla" (or "Miller"). 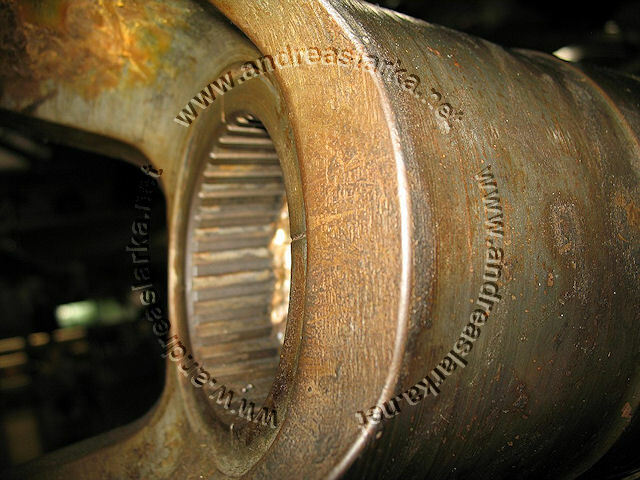 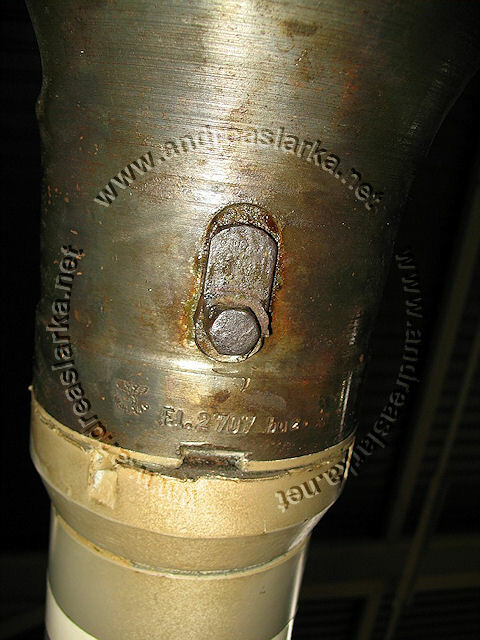 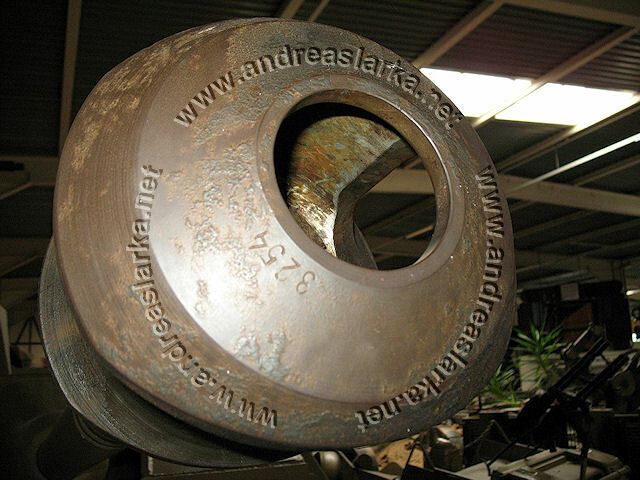 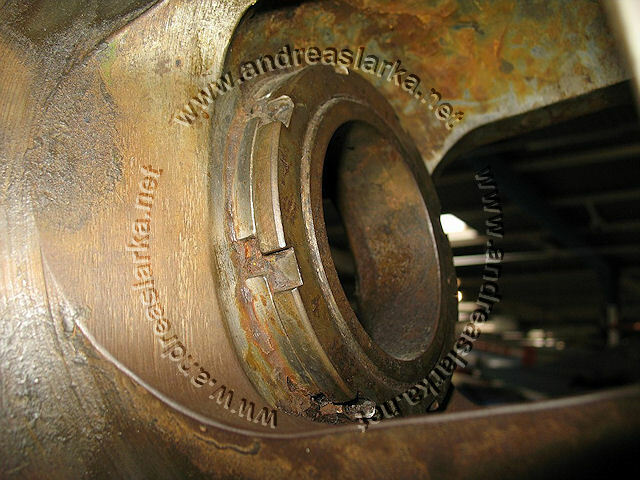 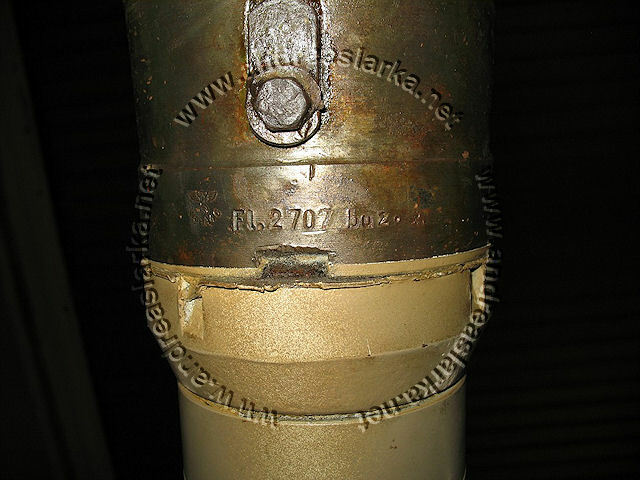 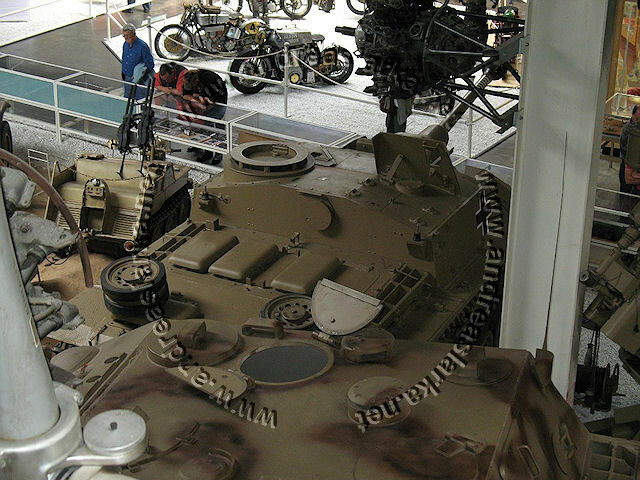 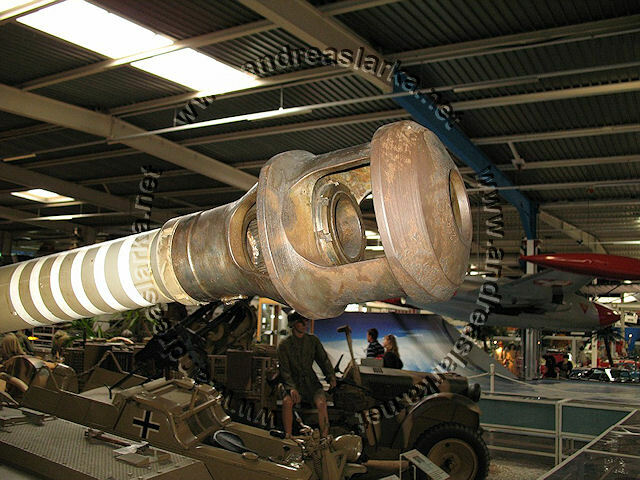 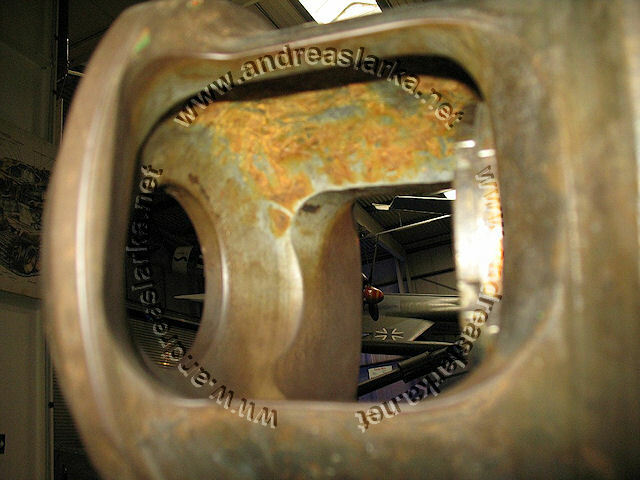 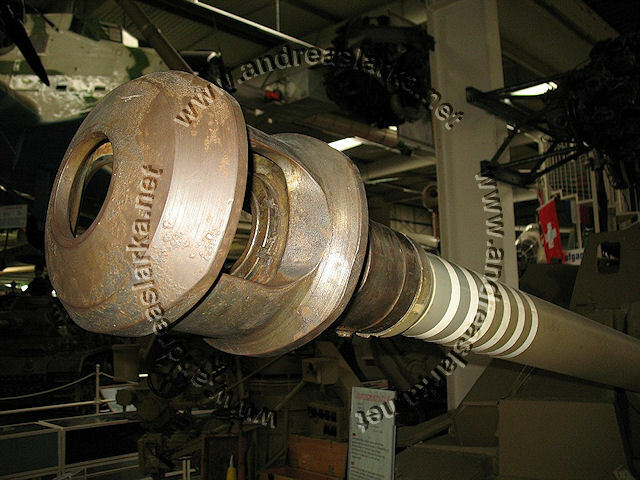 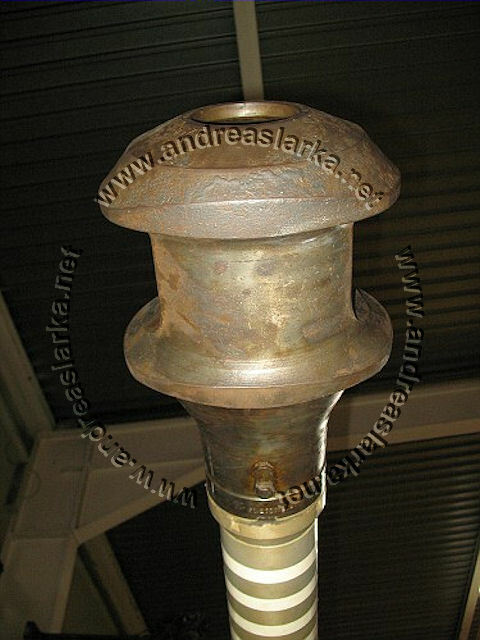 Located at the Auto & Technik Museum Sinsheim, Obere Au 2, 74889 Sinsheim bei Heidelberg in Germany. 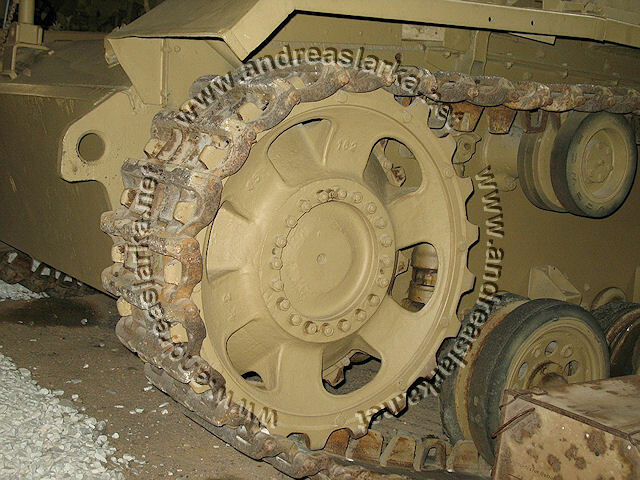 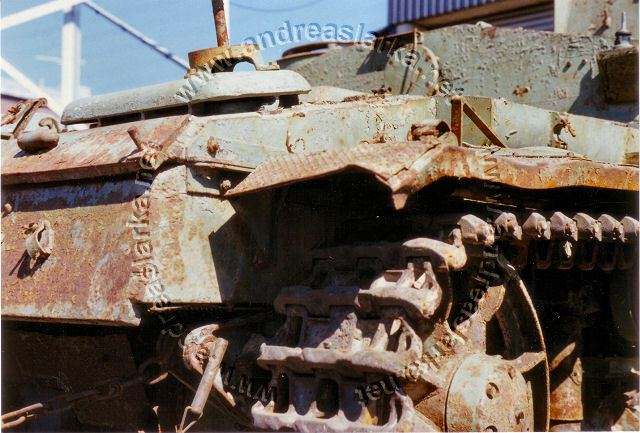 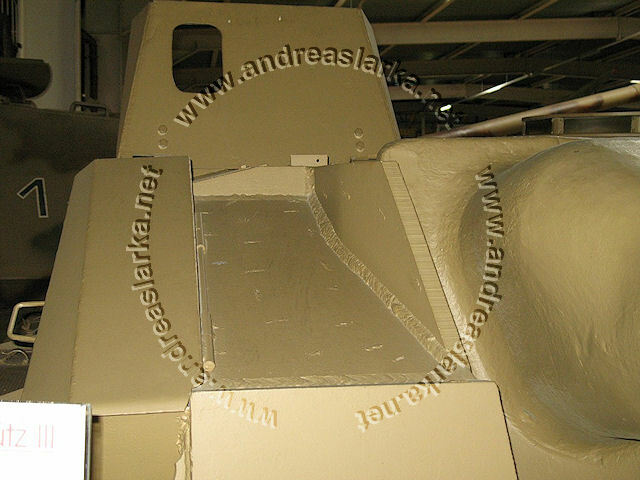 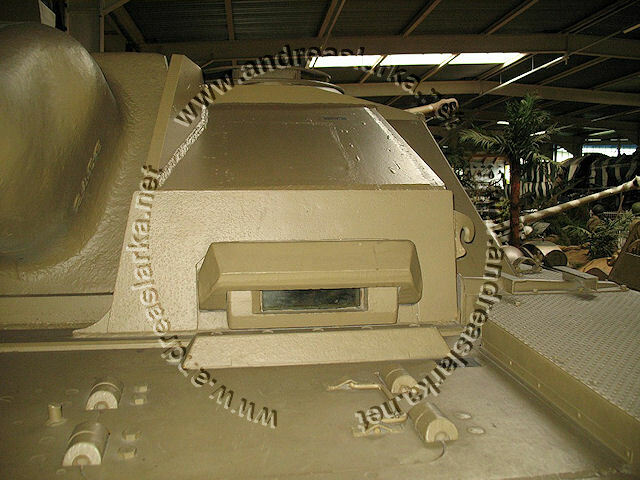 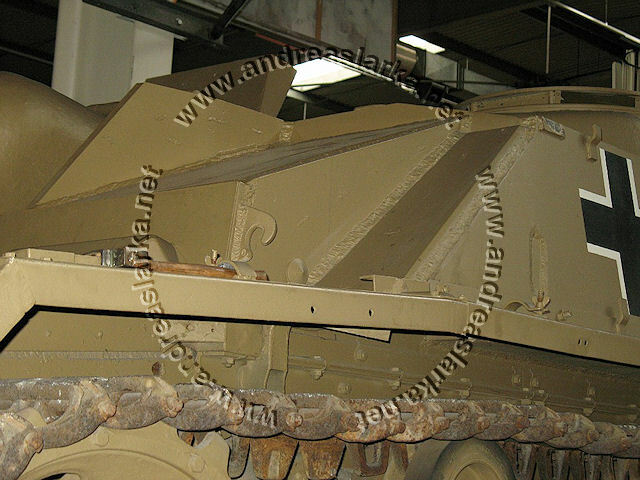 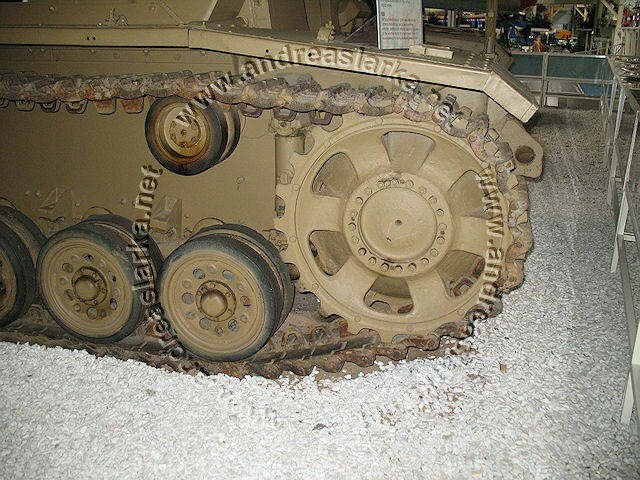 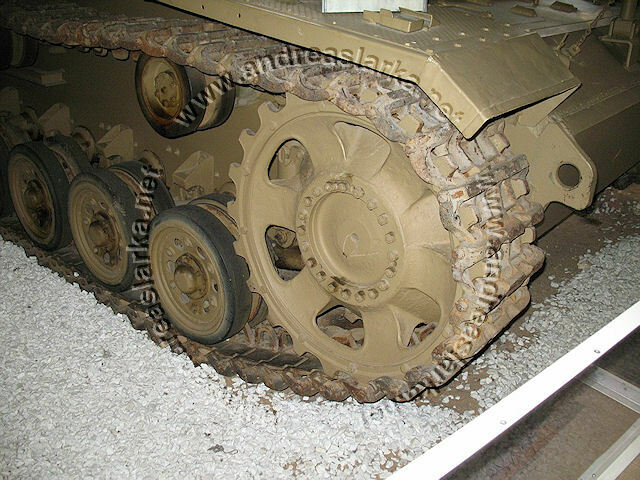 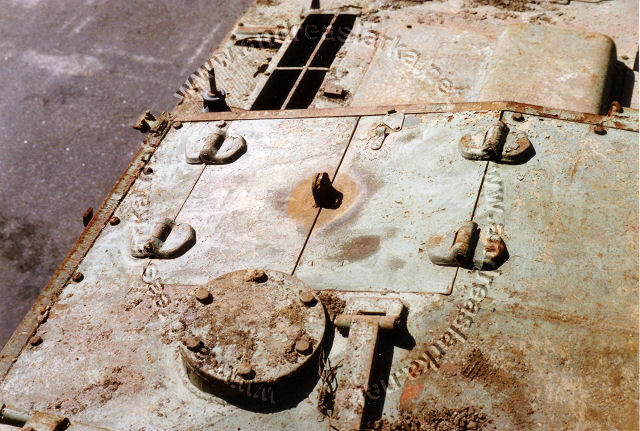 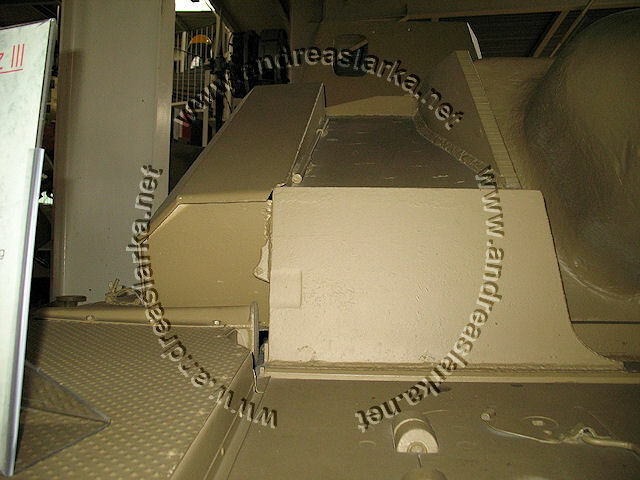 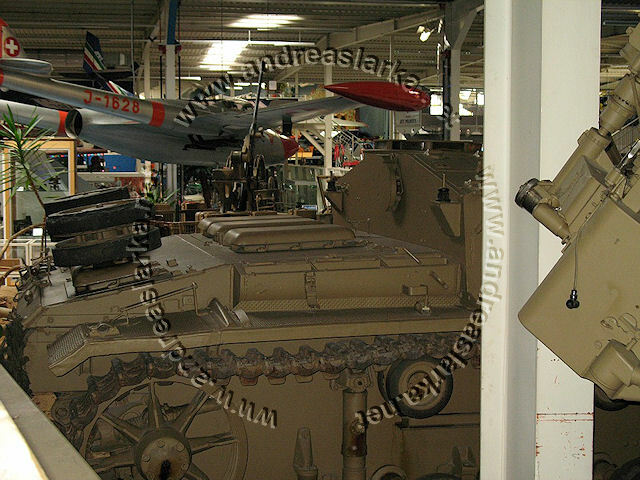 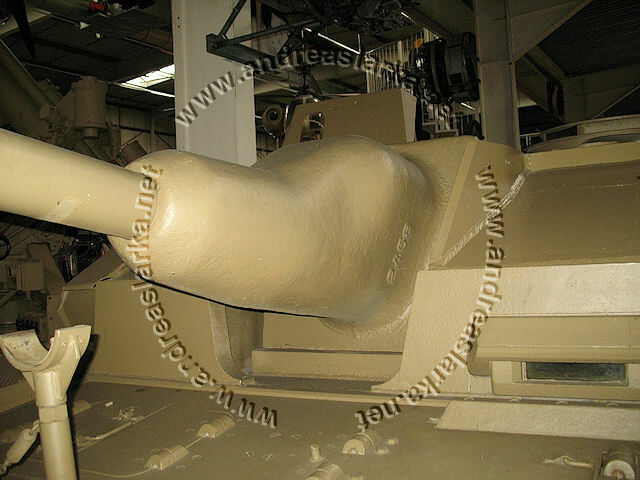 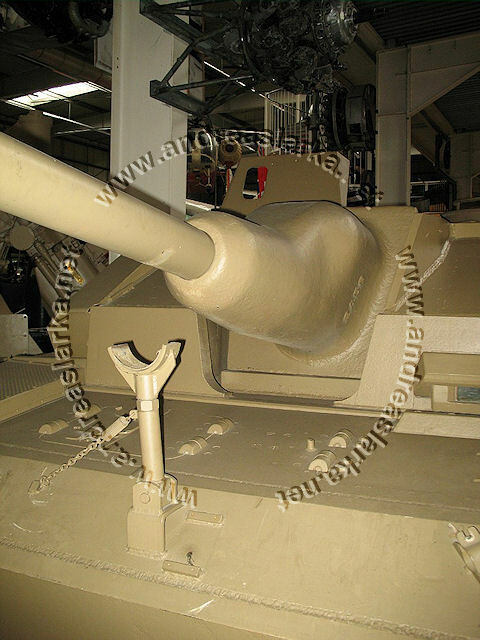 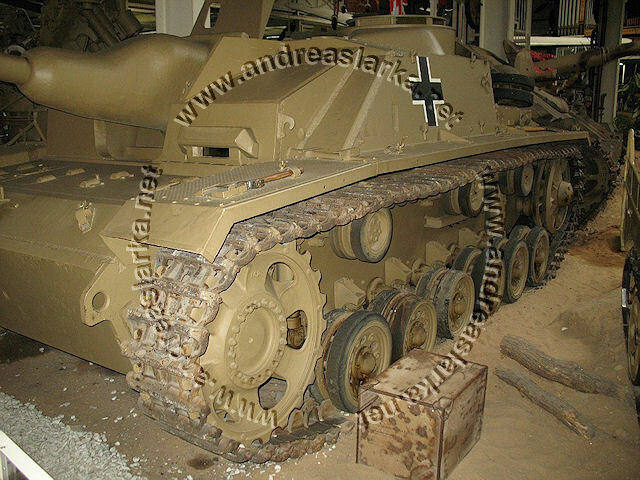 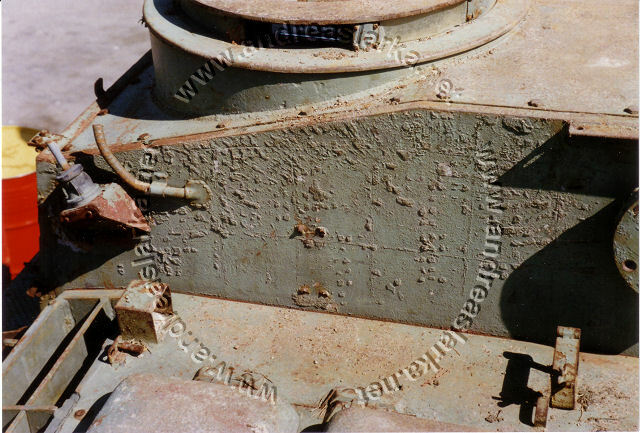 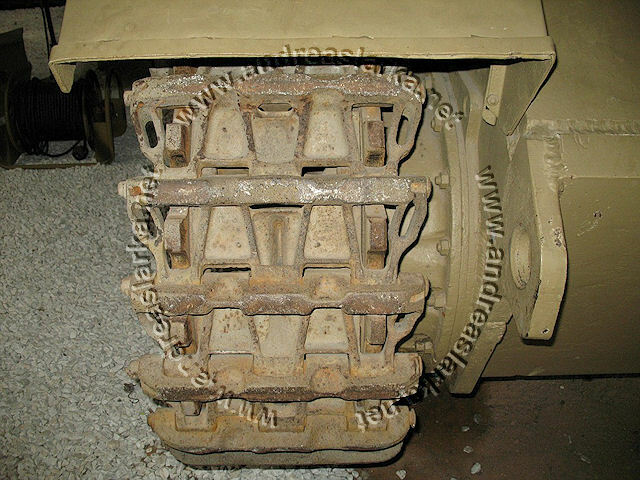 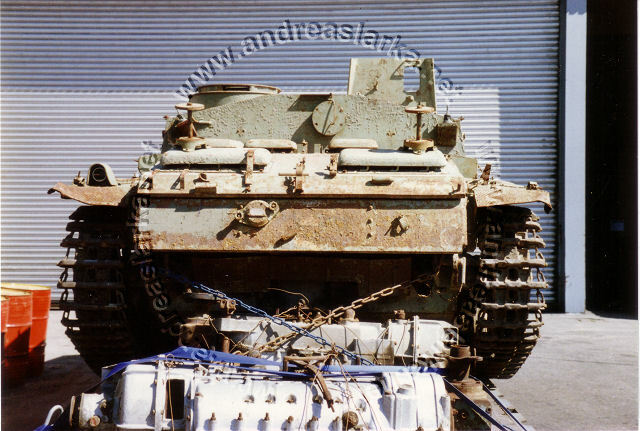 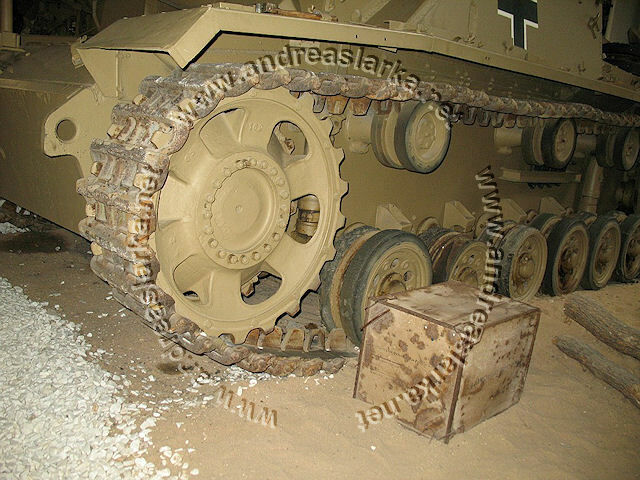 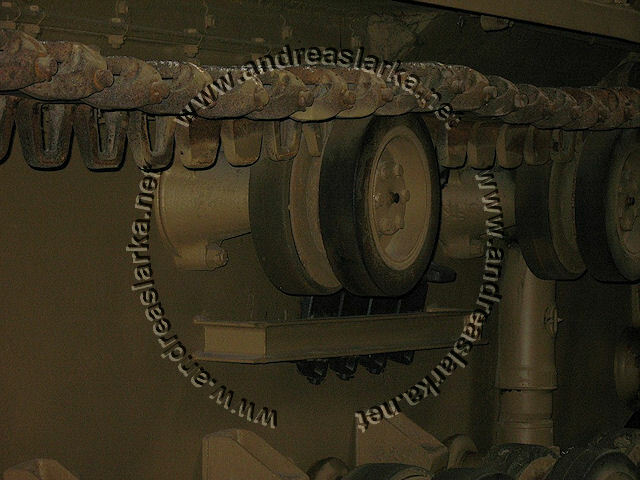 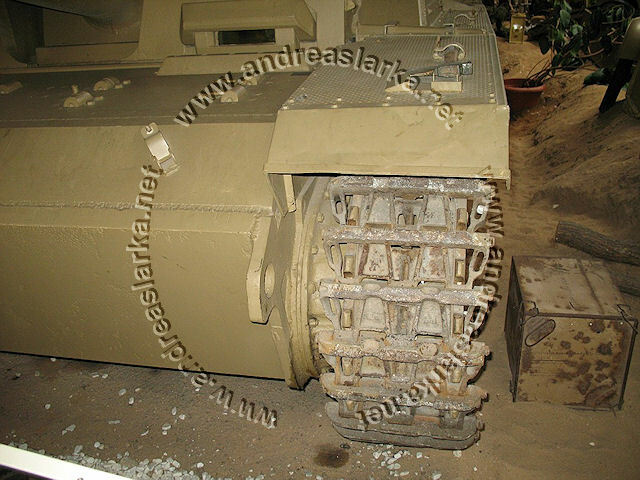 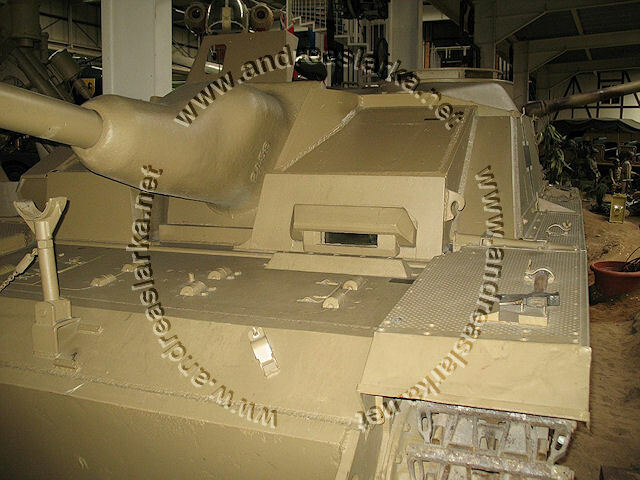 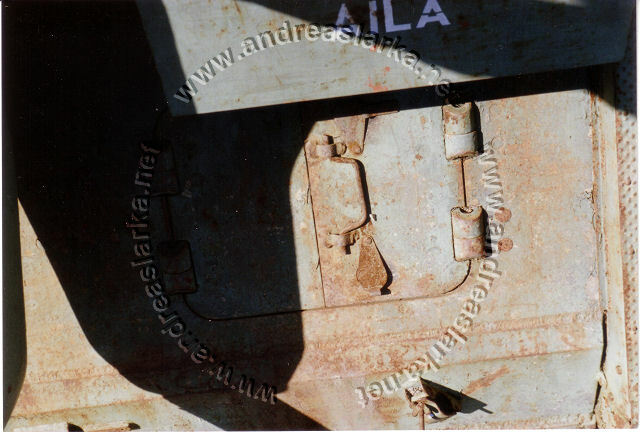 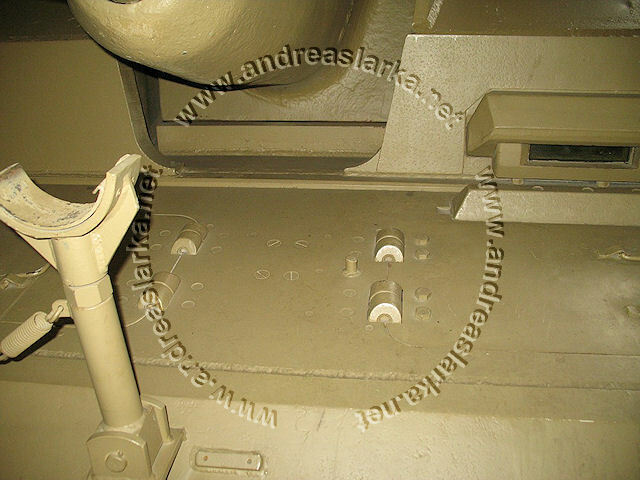 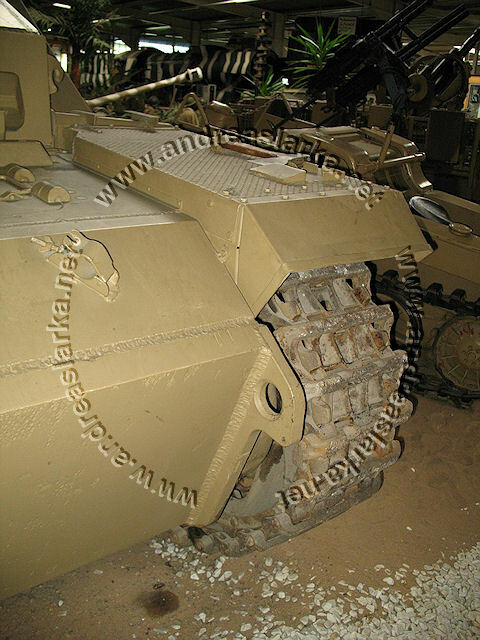 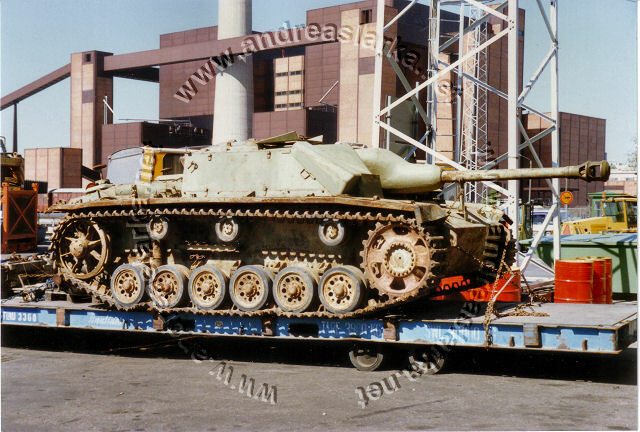 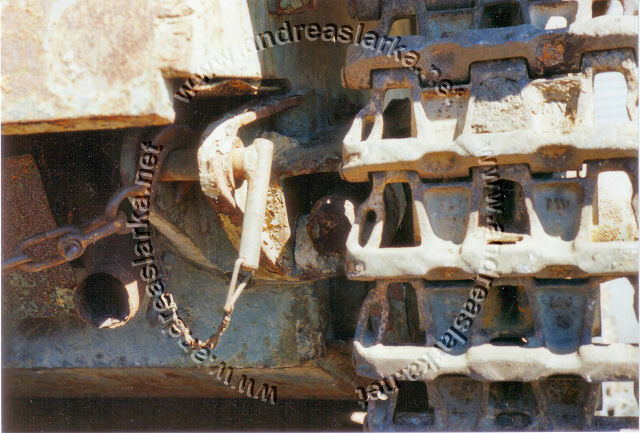 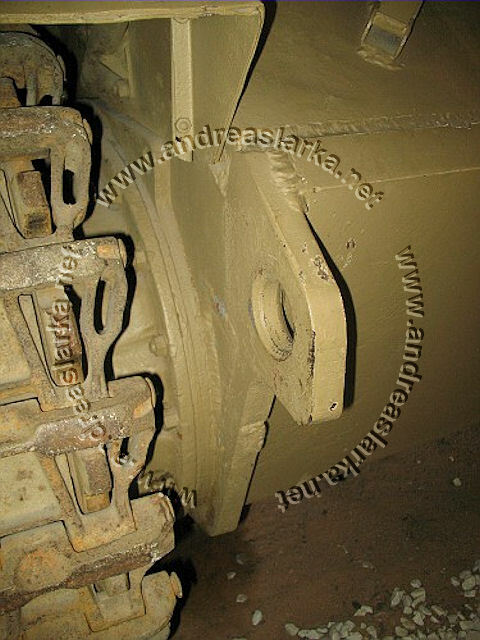 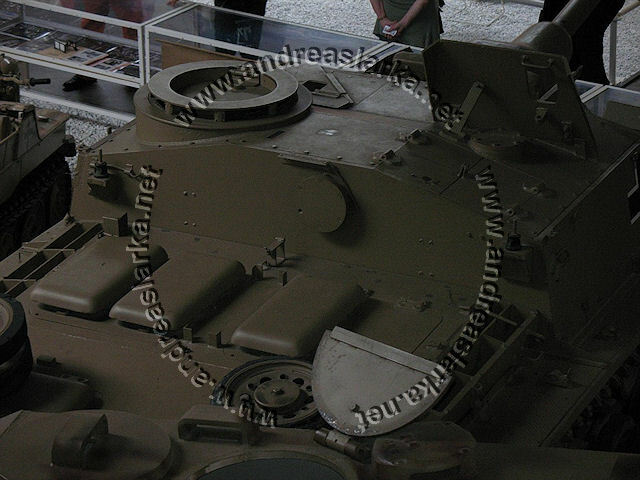 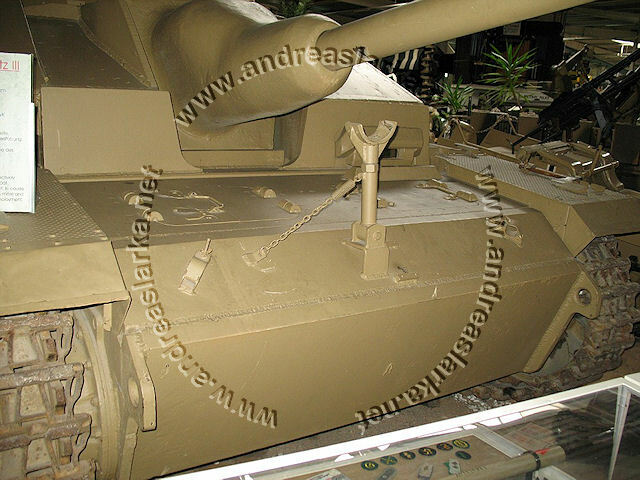 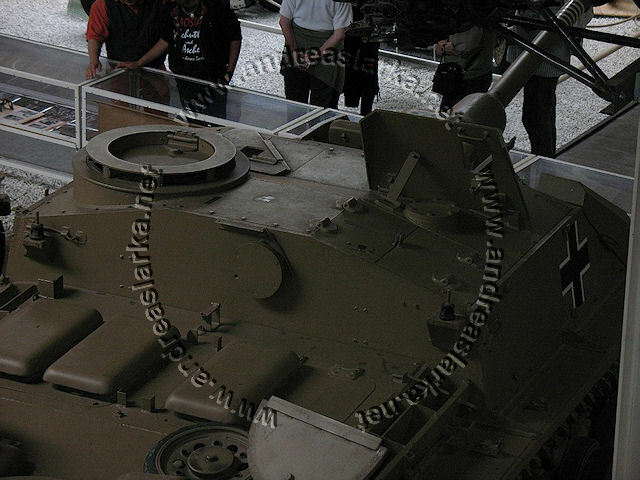 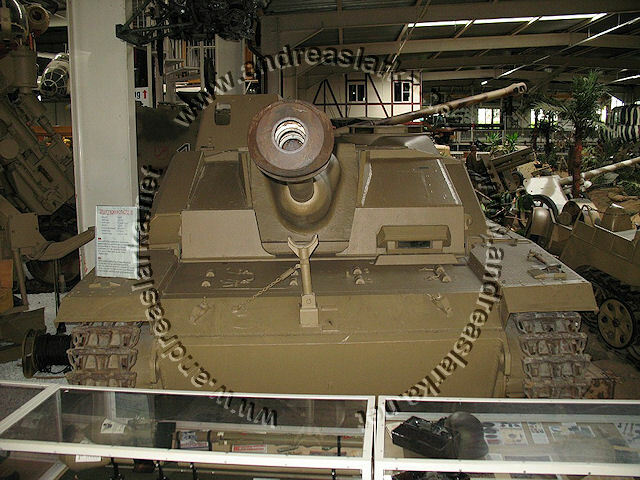 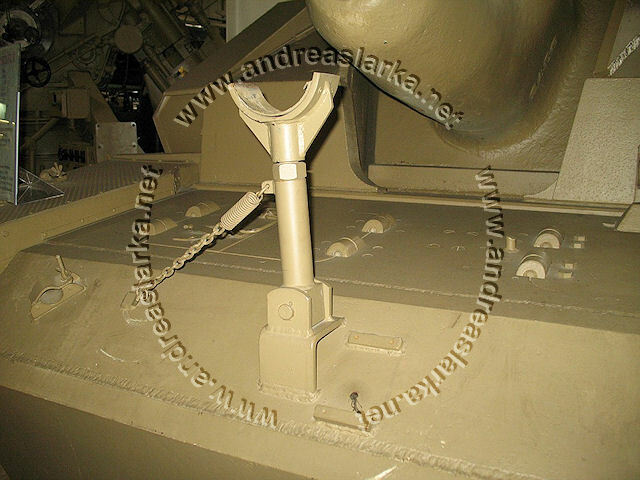 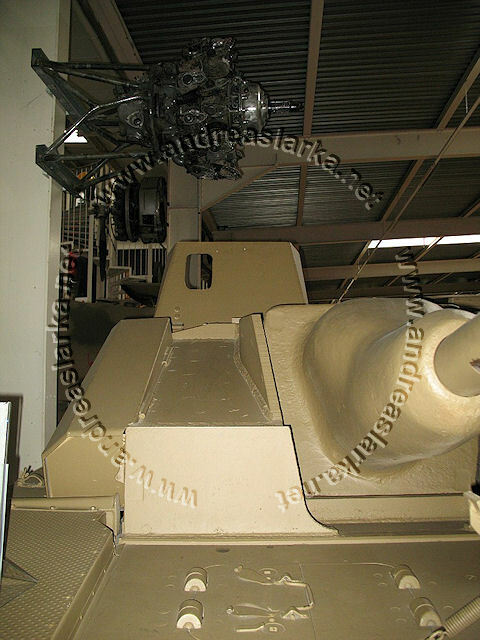 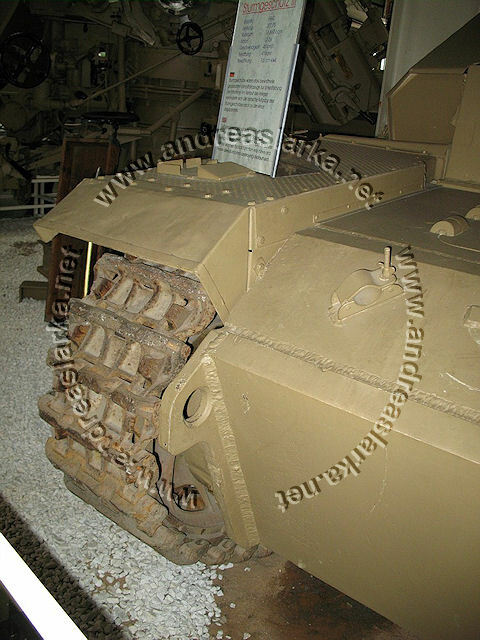 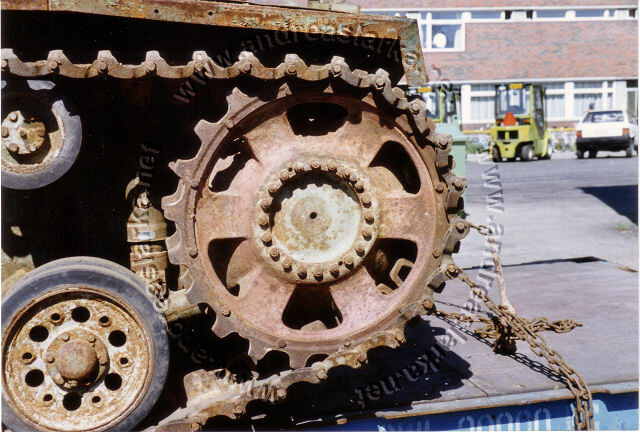 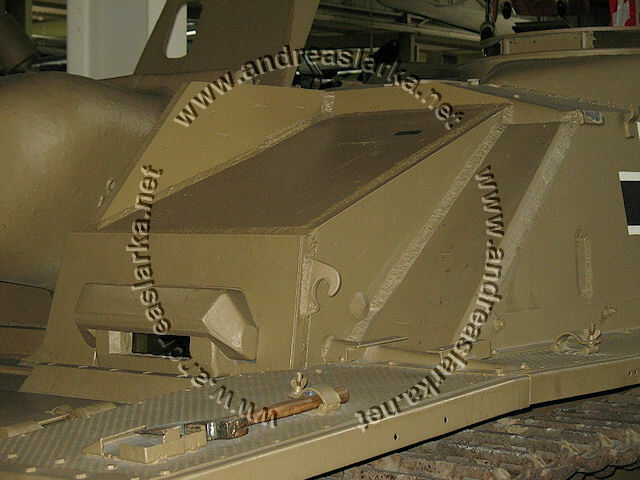 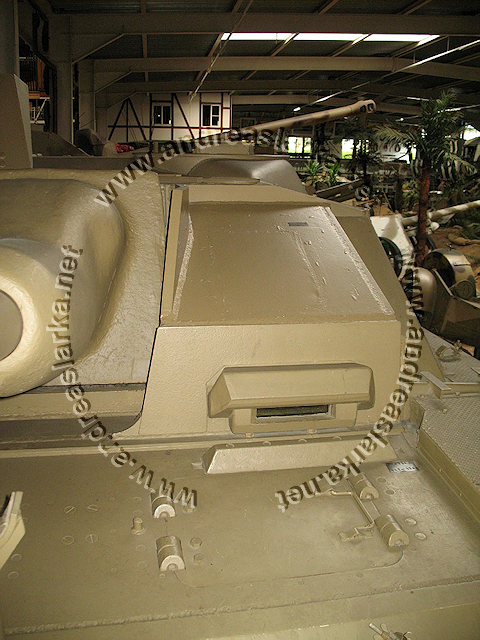 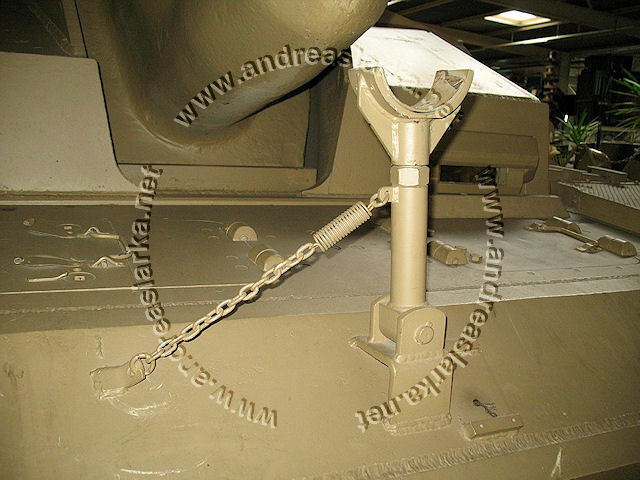 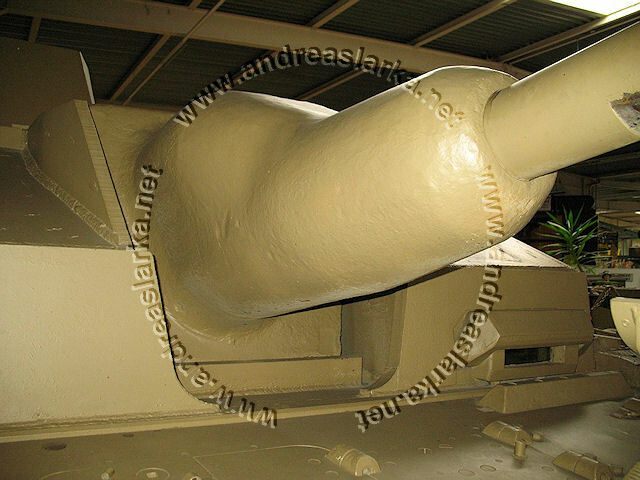 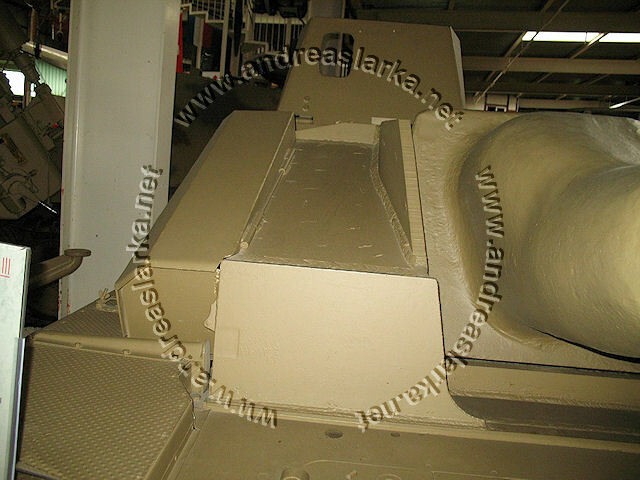 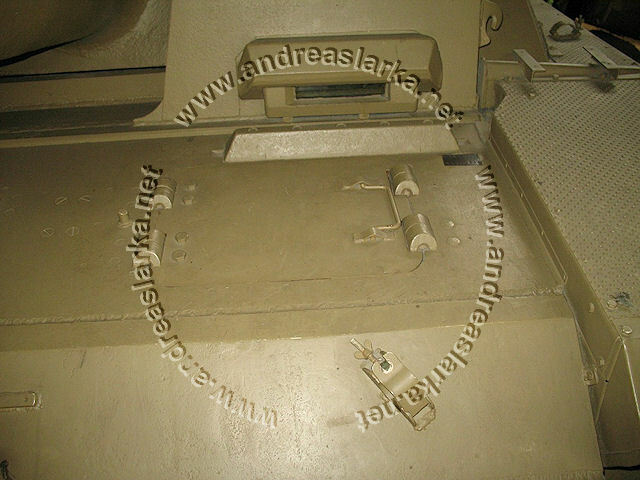 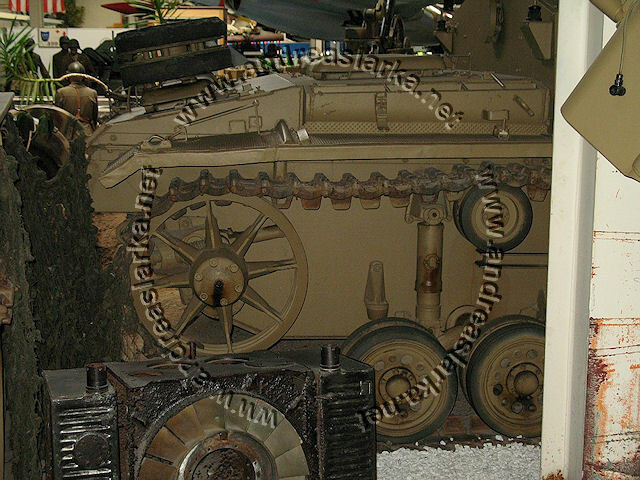 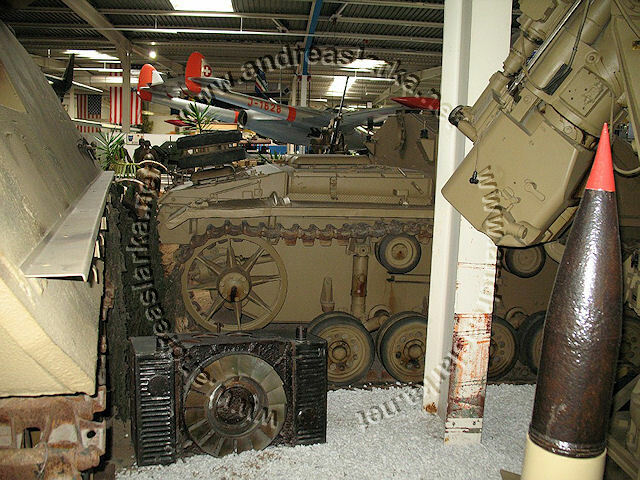 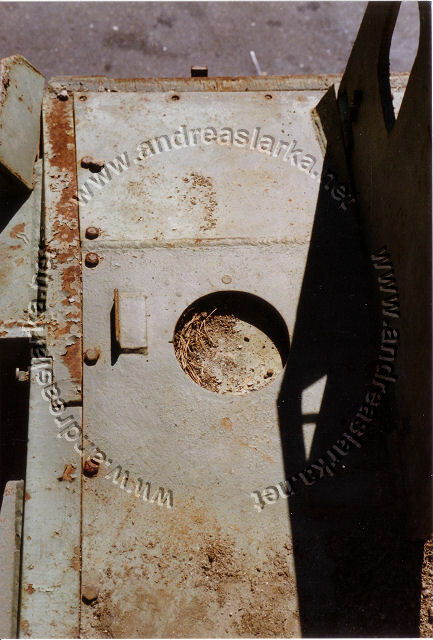 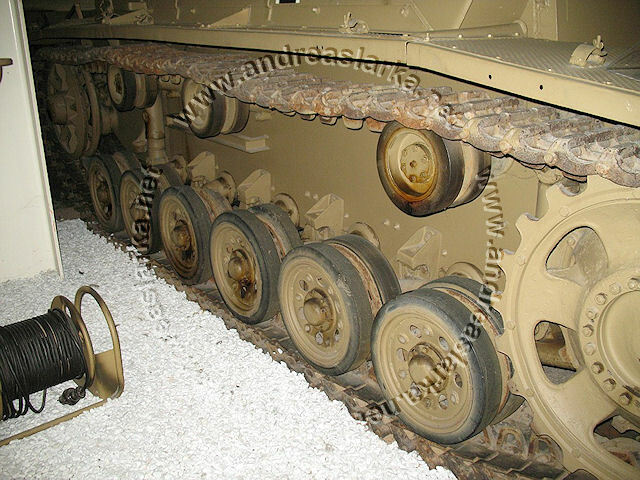 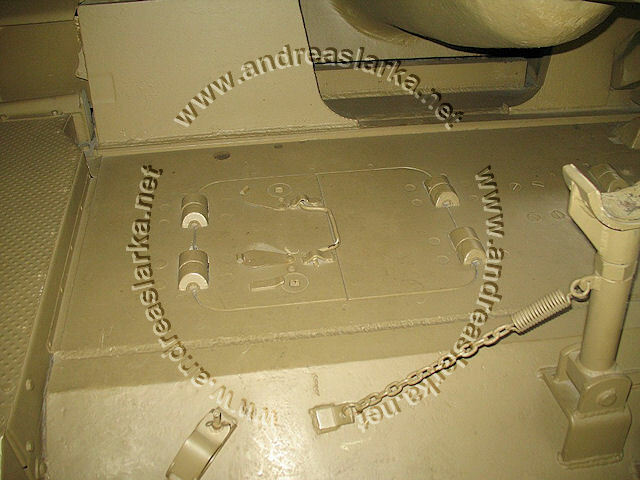 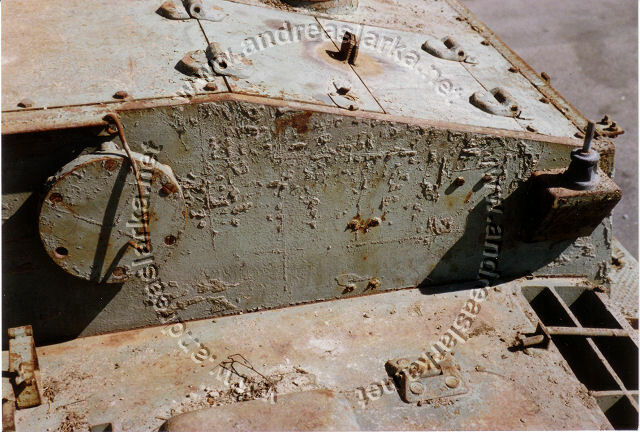 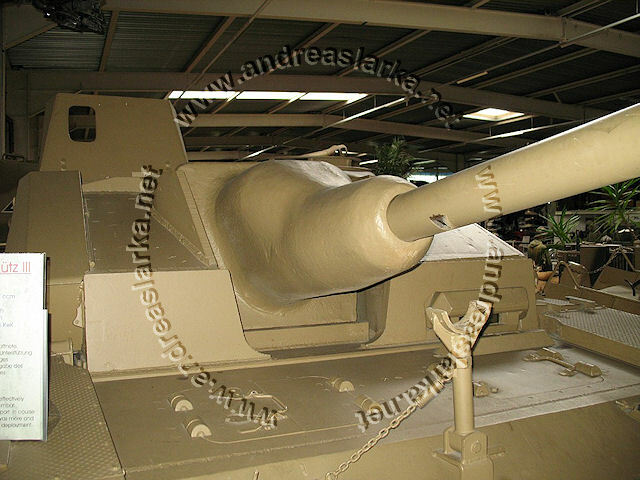 The StuG is repainted in Dunkelgelb (or desert sand?) 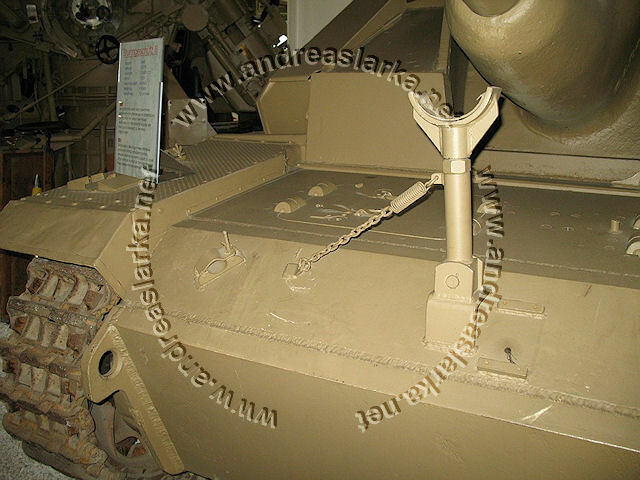 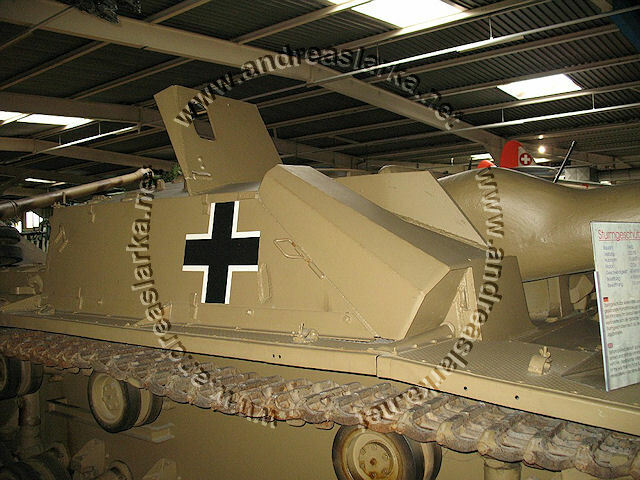 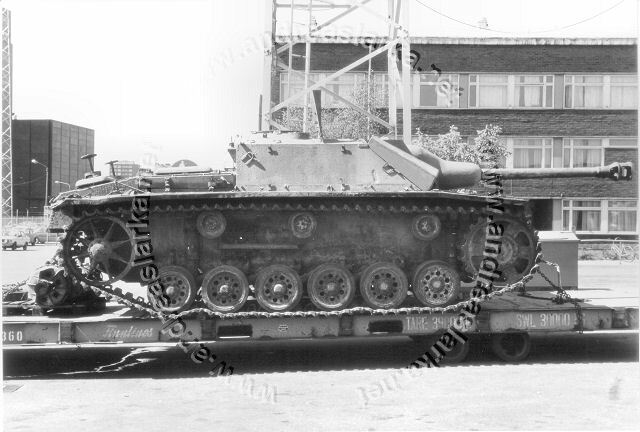 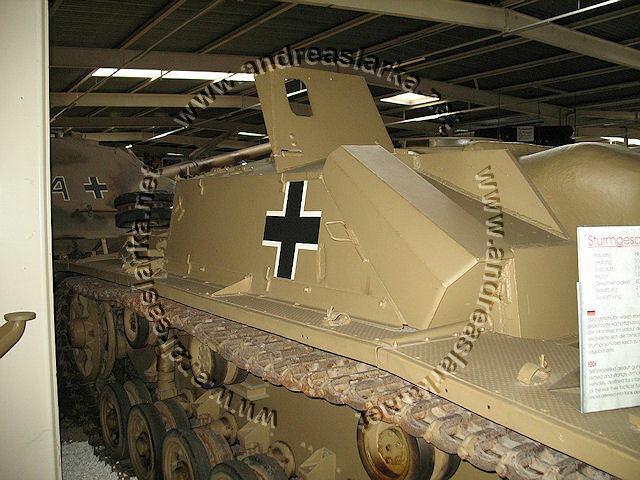 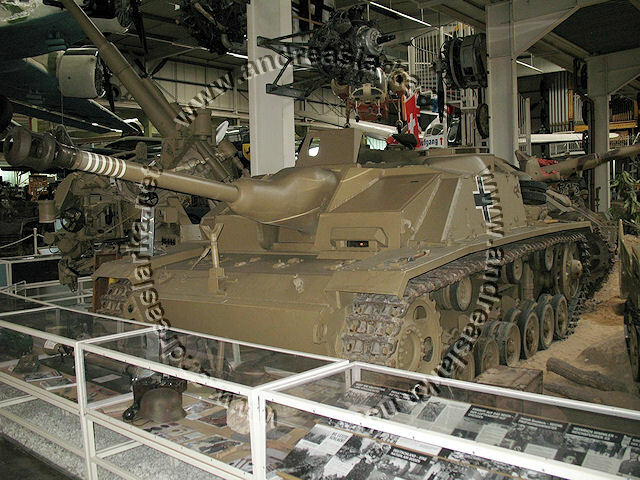 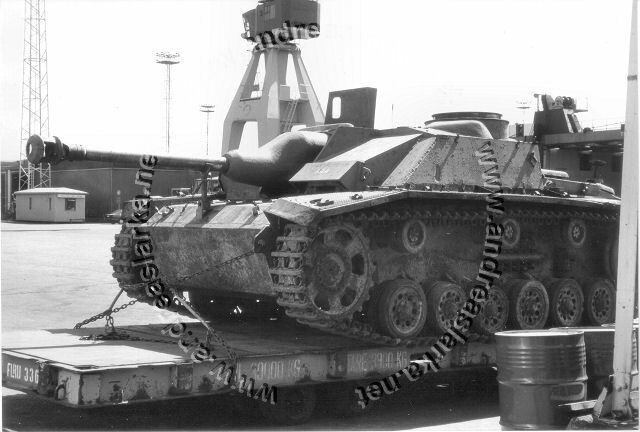 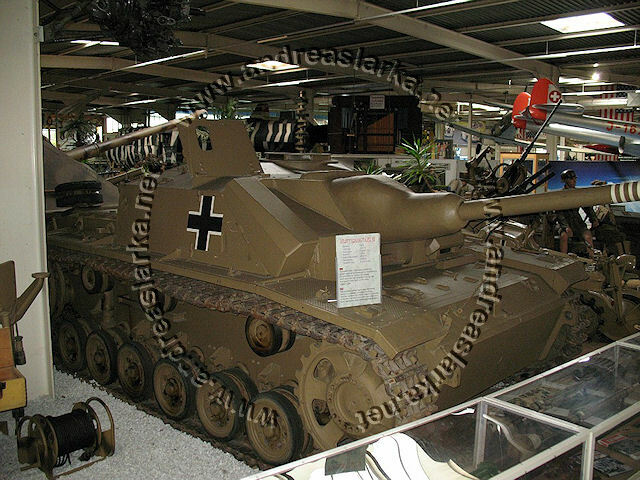 with German markings but it still has most of the modifications it had when serving in the post-war Finnish Army. 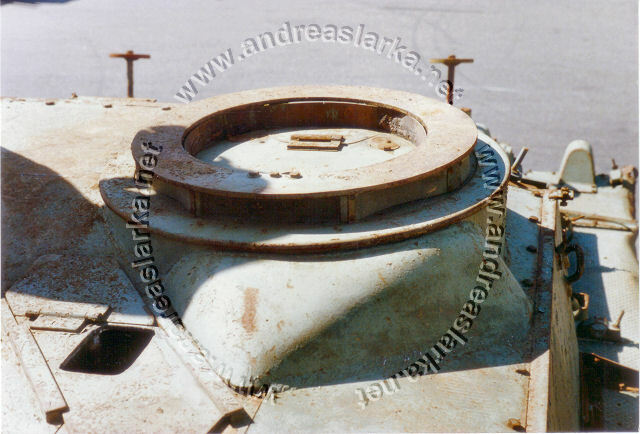 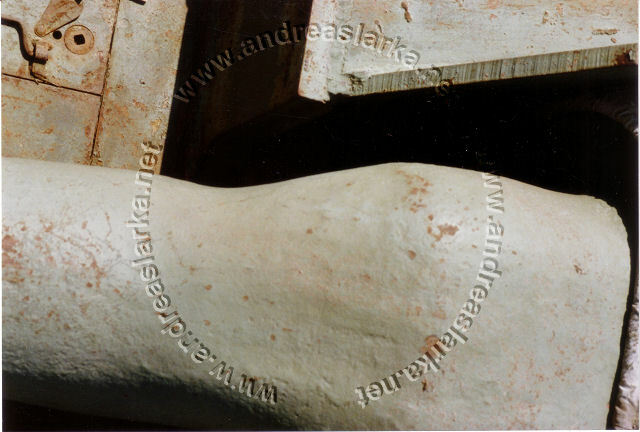 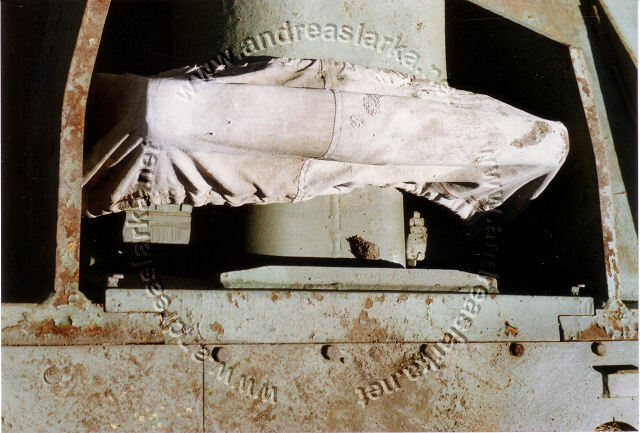 The following pictures are taken by Mr. Sampo Mikkola (the "S" in JS-Models) in the 1980's (?). 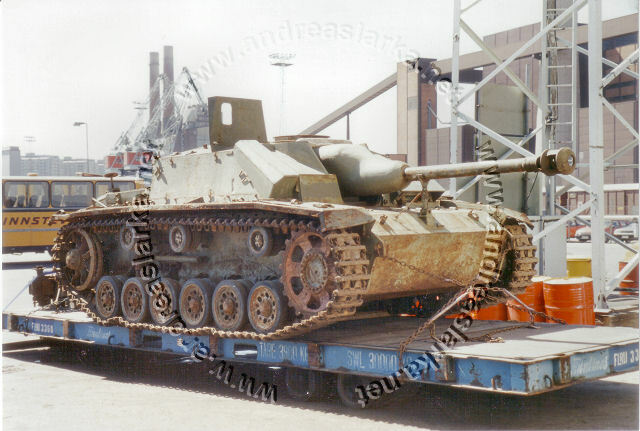 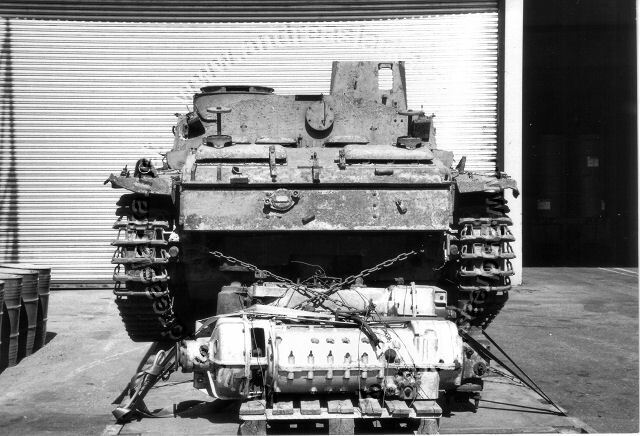 Ps.531-42 is just about to be shipped to Sinsheim, Germany.